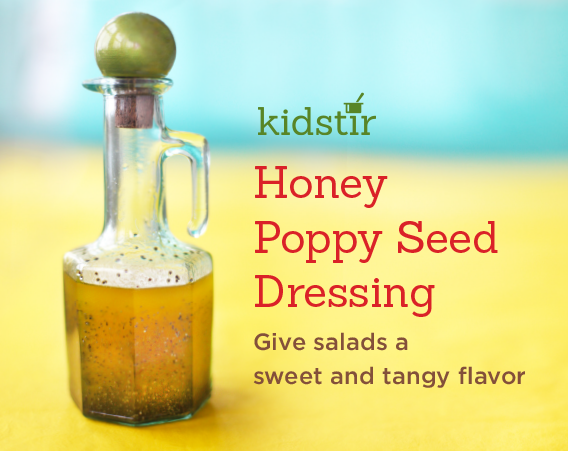 For a sweet and tangy salad dressing, try this. It's easy to mix up and tastes yummy on any kind of salad. 1. In a small mixing bowl, whisk the apple cider vinegar, honey, and poppy seeds. 2. Drizzle in the olive oil as you whisk away! 3. Add a few pinches of salt and a pinch of pepper. Give it a taste test. Add more salt or honey until you like the flavor.